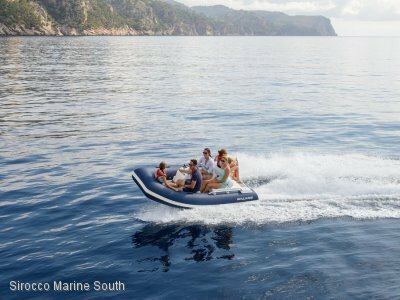 The BRIG Falcon range offers high spec watersports ribs with deep V hulls for open sea stability. 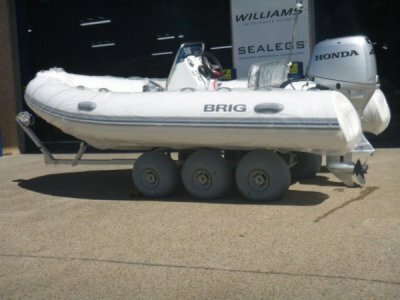 BRIG Boats have been tried, tested and continually evolved over the last 23 years. 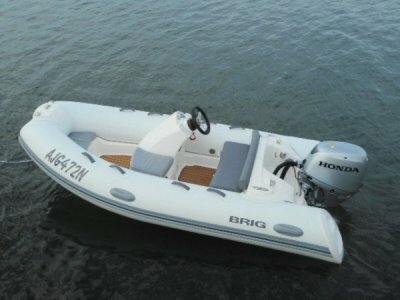 The 350 HT was designed specifically as a luxury sports tender. 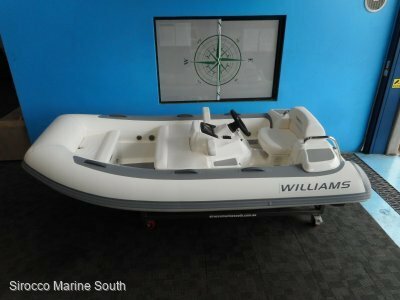 It is extremely comfortable and dry for its size even in heavy seas with the deep V hull cutting through waves. The Falcon 350 soft riding, self draining and super safe in rough water and delivers a level of safety you can only dream about in a normal tinnie, or fibreglass boat. The Falcon 350 is a top quality in finish and has a luxury style interior and seating. The Falcon 350 tube quality is world class sourced from France the fabric is called orca and is high quality Hypalon it is available in a range of colours including black, red, blue and white. The Falcon 350 HT is rated to 5 people because of the high level of buoyancy inherent in the pontoon tubes.